Due to their compact size and complex design, laptops don't lend themselves to upgrades quite as easily as towers. This is especially true of Apple laptops, which have always been thinner and far more stylish than a typical, chunky PC portable. The flip side of their graceful design is that you can't pull them to bits without some pretty specialised tools. Anyone who has seen inside an Apple laptop will testify that there's not a centimetre of wasted space. Even so, you have always been able to upgrade at least some components, and as newer models have been introduced, accessibility has improved a lot. RAM is the most obvious upgrade and, of course, batteries are easy to replace or swap. Earlier Apple laptops didn't come with wireless cards, and it's possible to fit them retroactively in many models. More recently, Apple has made access to hard drives much easier in MacBooks and MacBook Pros; iBooks and PowerBooks were nigh on impossible for regular users to get at. There are still upgrades best left to professionals, things like graphics cards, optical drives and screens, since they are extremely fiddly and will invariably invalidate any warranty if you try them yourself. There are still a few G3 PowerBooks floating around and, though they are ancient by today's standards, they are still capable of web surfing and office tasks, even if they will almost certainly have to run OS 9. These models are fairly accessible and by removing the keyboard, the heat sink beneath it and undoing several small screws, you can access its single RAM expansion slot and also the hard drive. The clamshell iBook G3 remains one of Apple's most iconic products and introduced the AirPort card, which along with the RAM lives under the keyboard. Removing and replacing other components is considerably more tricky, involving special screwdrivers, and is best left to a professional. 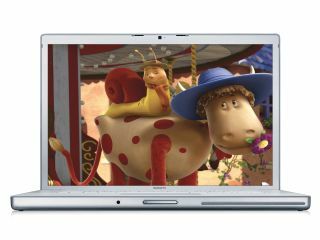 The iBook G4 and 12-inch PowerBook G4 share a similar form factor but have different techniques for replacing RAM, which is the only easily user serviceable part. On the PowerBook this involves removing the battery and disconnecting all cables (as is standard when opening up any laptop) then removing a memory slot door on the underside of the case. A single RAM chip can then be clipped gently into place and the components re-attached. On the iBook G4, the RAM slot is accessed by removing the keyboard. The 15-inch PowerBook G4 still has only a single RAM expansion slot but it is accessed by removing a small plate on the underside of the laptop. The 17-inch model has a much larger plate on the underside and it is interwoven with the battery compartment. On this model you have to remove the battery and then a metal memory door to access the single RAM slot. Accessing the hard drive or optical drive on PowerBooks and iBooks is incredibly tricky and really better off handled by a professional. The same is also true of the first generation of MacBook Pros, where you have to again remove the battery and a large plate on the base of the unit to get at the RAM. Getting at the memory on a MacBook is slightly more fiddly, involving removing the battery and a long, L-shaped RAM plate plus some tiny screws and using RAM levers rather than the usual clips. If you did this you also, interestingly, got access to the hard drive, a user-upgradeable component not seen for many years in an Apple laptop. By pulling a tab you could slide the hard drive out and disconnect it, then replace it with another one. Apple also made this a feature of later MacBook Pros, and by removing the large access door on the underside you could unscrew and remove the drive. Installing RAM in these later aluminium MacBook Pros is slightly tricky, involving unscrewing the entire base plate to access the RAM slot. The very latest MacBooks and Pros share a similar design, and so the means for accessing their RAM and hard drives for replacement are identical. Remove the battery access door and the battery and you can get at the hard drive. Remove the whole base plate and you have access to the RAM slot. As you can see there has been a lot of variation over the years as Apple has changed its laptop designs, but if you have a MacBook or a recent MacBook Pro you have the option to install a bigger, faster hard drive as well as more memory without taking it to a professional, which can only be a good thing.